In tech class we have been Investigating about how to make a good tutorial. We all looked at other peoples favorite tutorials that they have posted and leave a comment about what you think about what you think about that tutorial. I have viewed Tomoka’s blog and Kate’s blog, Tomoka’s was about how to draw a cute cartoon bunny which was really cute and helpful. Kate’s was about how to draw manga eyes, which was interesting too. First we made a plan about some of the tutorials that we have looked at with comments with our own point of view about the tutorials that we watched. Then we picked out our favorite one and posted it on our blog. After we did all that we went to two other people’s blogs from another class and watched their favorite tutorial that they have watched as I mentioned in the first part. 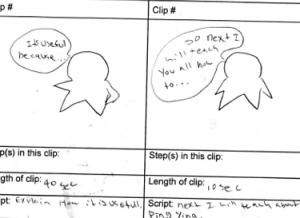 We read their description about why they chose that tutorial and why it was their favorite, and on the comments we commented our own point of view about the video. By looking at some other peoples favorite tutorialsI learned lots of different stuff from other peoples point of view about what makes a good tutorial. I learned from Tomoka’s tutorial that it is important to have a dark clear color so that the audience could see what you are doing. Tomoka mentioned how the creator was talking in the video too I thought I need to really think of that when I am making my own tutorial, because if I did not have a loud and clear voice my audience would not know what I am saying so if I don’t speak clearly there is no point of making a video with voice in it everyone would think a tutorial that is written would be better and more clear. I also thought about the tools that I will use in my own tutorial that I will be making soon, because if the tools that I use is not good such as using a yellow or a light color pen. When I choose my topic I need to know the topic really well. The first mini tutorial that I have made is on a document presentation so it is not a video. I think for my first tutorial it is a very good one but I started to think more, I am thinking that the videos that I watched were simple and more detailed. I am wondering why and soon I found out that if you want to say something when you say it it is more easier to understand, when you write what you want to say other people might not understand what message you are trying to tell them so I think that if you actually moved in the tutorial it will be easier for you and the audience but of course when you make the video it won’t be as easy but now I am talking about after you make it, when you present it. 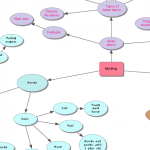 In this investigate I have learned a lot of stuff about a good tutorial because we have been discussing a lot about tutorials and how to make it well and interesting. Am I happy with My work that I finished in this project? Well I think that even if I did not finish some of the tasks on time I always end up finishing it and making it look awesome. So this should mean that I am happy but I need more ideas for writing posts in a way that is interesting and eye catching to everyone. My projects that I have worked on all seem good but if I could do it again I would finish it on time and make it more like a blog post not ust a normal dull paragraph. In what did I learn the most in? Umm… let me think. I liked learning about the design cycle it really helps me in tech works and other classes. I feel like I learned the most in the Plan part don’t worry this does not mean I did not learn anything good in the other parts, the plan was also the the most fun part to me. I learned that it would be easy to do anything if we planed before we actually did it, it makes thing faster. 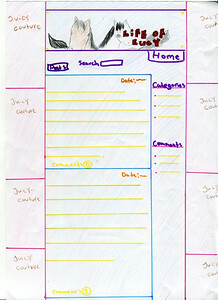 For this part (Plan) we made 3 or more blog designs and tried to make it so that we could really use it. I guess I was mostly a thinker and risk-taker because I tried lots of things that was on my blog and I investigated lots of things by myself, I had to think of what types of things and what I could do to make my blog my dream blog. I could use these stuff that I learned so far in the future when I do work like I do now. My blog theme is ok, I like my blog design but it is a bit maybe it could use some more work on it, for the header place maybe that picture is a bit to fancy I should put something more simple. I think my blog now is just the start, I have a feeling that I will make my blog theme more like what I want it to be like. I am proud of my blog posts and I am proud of the things that I figured out and learned to make my blog look more better. I am happy to see that my blog looks more not like a person who just started to make a blog but some one that is used to the blog and knows pretty much about it. I am thinking that if I can become a even better blogger I should put something like a every day reflection or news kind of thing so that all the other things on my blog is not going to look dull and old. But not just writing I fell like I have too much words on my blog that I should really try to put more pictures to make it look more like I know how to use a blog and I am not just a starter kind of thing but now I am pretty proud of my blog since I just started because I could see lots of change when I just started until now. 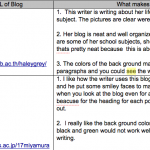 When we got our blogs we learned about the different links to the blog and how to add posts and categories. 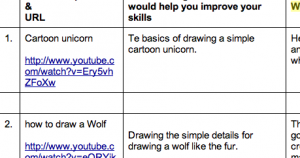 We got a sheet that we had to fill in that has mostly all of the information we need to know to use our blog, we also looked at other peoples blogs and discussed about how to make your blog look out standing and not to make it too messy. The whole class came up with some ideas to help us make our blog look neat, some said the colors and fonts are most important and some others said that pictures and the way you display your blog is most important. We figured out that if we add all those ideas together it will make our blog look fantastic and a out standing star. 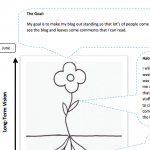 After all that discussing we were given another task called How to grow a blog, it has a picture of a flower and with speech bubbles coming out with some questions that we need to answer. Of course the discussing is not over yet we have lots more tasks coming up, some is pretty confusing. This sheet is one of the tasks that we have got, The flower is like your blog and it kind of means like growing a flower is like growing your blog. The next thing we did with the planing part is we had to draw our own blog design on paper, we needed to make three or more designs. After we drew them we got into partners and chose our best design that is the most possible one and the most that describes you the most and write and lable the design. Next we tried to make our designs on the computer, I chose this simple theme and found a picture and put it in the theme. I chose this blog theme because I feel like this suits me best and it is simple and the colors are the colors I like and the pictures I put on the blog theme describes my favorite things. I think I still want to learn about how to put stuff like advertisments or downloads on the side of my blog and make it look more professional. I can’t wait to see my blog to a complete I did not know just making a blog could be this confusing.